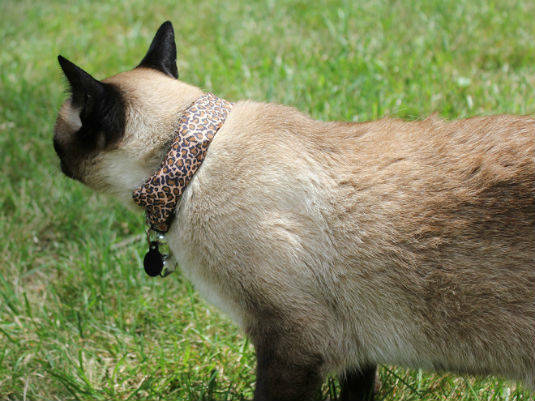 Defcon 22 An inventive security researcher has successfully tested a war-driving kitty collar – so its wearer can prowl around the neighborhood exposing the lamentable state of Wi-Fi security. "Techies get security, but try to explain the technology to the average consumer and you can see their eyes glaze over so I've become known for getting them back engaged with cat pictures," he said. "Then someone told me about a cat collar with GPS and a cellular modem built in that texted the pet's location, and I had the idea for WarKitteh." Bransfield first tested his idea by outfitting a cat with a coat containing an HTC phone, but the feline refused to play ball. Once out of sight, it dumped its baggage and slunk off, leaving it for some larcenous individual to steal the phone. So Bransfield decided to build his own device. He started the project a year ago and began building the device in November. While he's a security expert, however, this particular scheme required help from friends and family. "Once I'd explained the concept everyone said 'Awesome, how can we help?'" he explained. 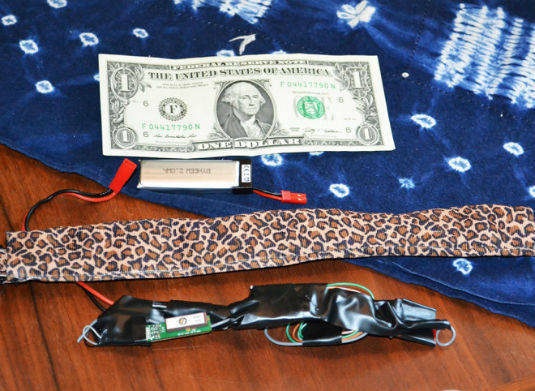 Bransfield built the WarKitteh collar using a Spark Core chip, which is an ARM processor backed by a Wi-Fi chip and a GP-635T GPS unit. A friend who is into model airplanes sourced him a 3.7V/500mAh battery to power the unit. His wife's grandmother, who's a dab hand with needle and thread, enclosed the unit in a tasteful covering, and the plan was good to go. Apart from dealing with cat psychology, that is. The first time Bransfield tried the WarKitteh collar with a friend's moggy, the recalcitrant feline ran down the road and hid under a bush. With the GPS signal blocked, the battery quickly drained and the experiment was declared a failure. To deal with this, Bransfield decided to leave the collar out for a while to get a solid GPS lock before putting it into full 'cat mode.' But this second experiment was also unsuccessful because the test pilot decided to just walk around its back yard for the day, and no useful data was gathered. Clearly new recruits were needed. Luckily, the aforementioned grandmother had a Siamese cat called Coco and she expressed an interest in trying out the device so that she could see what her feline got up to during the day. Coco clearly wasn't fazed by the collar and went on a serious prowl around the neighborhood, even catching a small rodent along the way. While the data the cat gathered was extensive, however, it was also somewhat depressing. Hackers pwn Baltimore's 911 system?! Quick, someone call 91– doh!